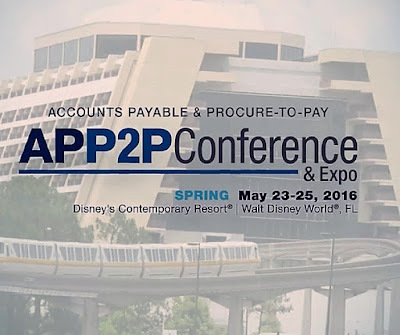 The Accounts Payable & Procure-to-Pay Conference & Expo is the most important get-together for Accounts Payable Professionals this year so far. The amount of AP specific knowledge that you will gain, by attending this event, is huge! The date and place are May 23-25, 2016 in Walt Disney World, Florida. You can take the APS & APM exams, sit-in on many informative sessions, and network with fellow AP Professionals and Industry Pros.